Each Bounce venue has been designed specifically with conferences in mind, with each boasting a spacious area in the main hall which includes a 10ft wide cinematic screen with HD projector and a state of the art presentation system. These expansive spaces can be utilised for breakout areas, syndicate sessions, brainstorming and team building activity options. 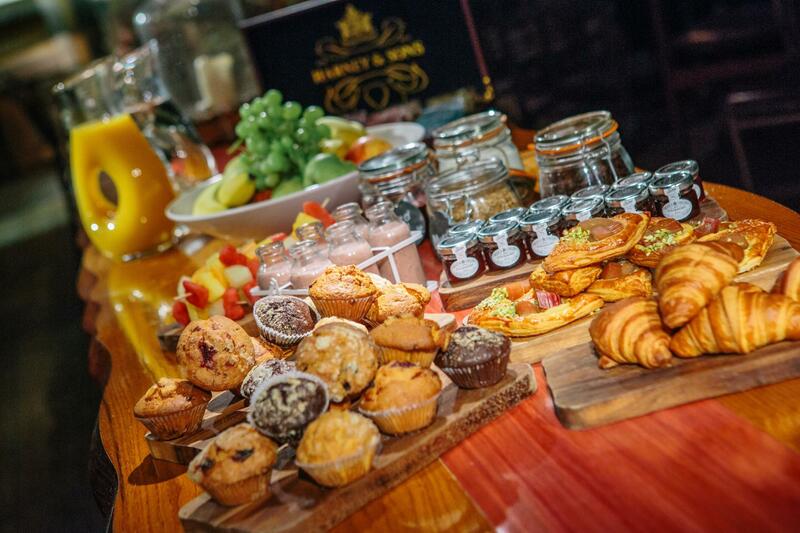 Conference facilities will cater for up to 200 guests. 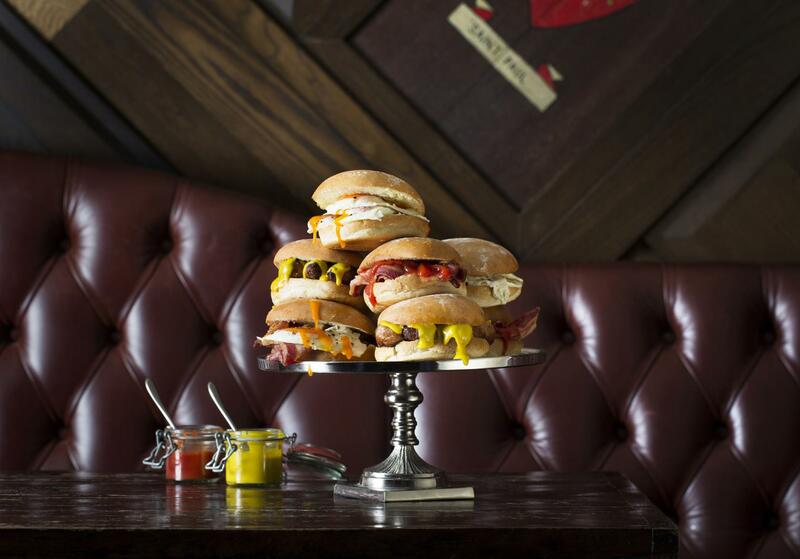 Bounce Farringdon is a classic 50’s style bar and restaurant, serving not only delicious food and a wide selection of drinks, but also the best social ping-pong experience in London. 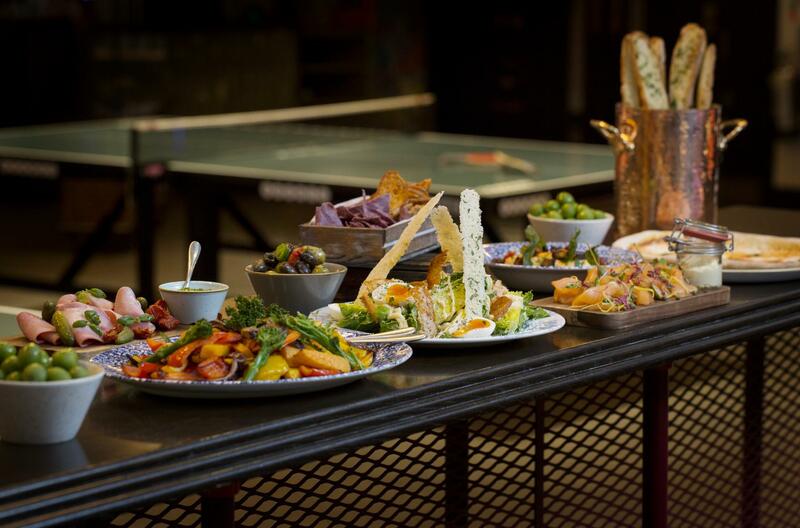 This quirky venue offers 17 ping-pong tables, with all the necessary gear included in the venue hire price so you can get competitive with friends in no time. Thanks to its proximity to the City of London, Bounce Farringdon is particularly popular when it comes to corporate hire. It serves as a one of a kind spot for team building activities and office parties – and as a bit of a less formal conference space, too! 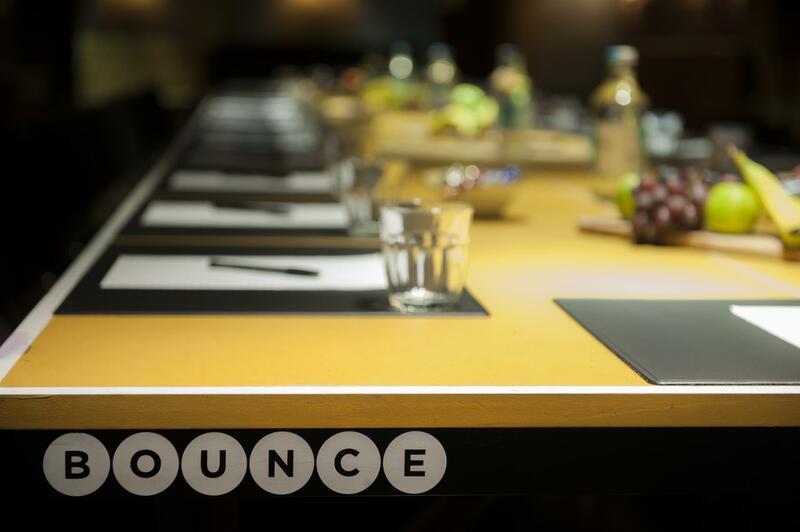 Bounce Farringdon’s Main Space was created with conferences in mind. The hall, which can cater for up to 200 people, boasts a huge screen and top class audiovisual facilities. On the fun side of things, Jaques Room is equipped with ping pong tables to play with your mates and cosy booths to eat, drink and be merry, what a combo!